love or loves? have or has? do or does? is or are? a Clauses with and, but, etc. f Transitions, parenthetical expressions, etc. c Plurals of numbers, letters, etc. a Get involved in the work; be an active reader. a Draft an introduction that announces your interpretation. b Support your interpretation with evidence from the work; avoid simple plot summary. 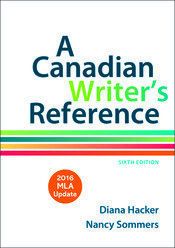 a Refer to authors, titles, and characters according to convention. b Use the present tense to describe fictional events. c Use MLA style to format passages quoted from the work. a Do not confuse the work’s author with a narrator, speaker, or character. c As you integrate quotations, avoid shifts in tense. d To indicate changes in a quotation, use brackets and the ellipsis mark. a Use MLA style to document secondary sources.